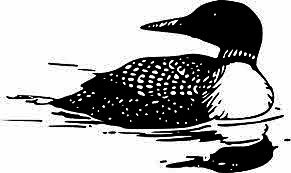 Area News + The loons are back to their central Minnesota nest! It is time to watch – in real time – another year at the nest. And you can do that by clicking on Minnesota Nature on Cross-Counties Connect home page and then the link to the loon cam, or click on the link below. The LIVE Minnesota Bound Loon Cam is a live webcam on the nest of a common loon, located in central Minnesota. Larry Backlund is the Minnesota Bound resident loon expert and the man responsible for launching the loon cam over decade ago. He provides Loon Blog. This nest is 100% wild and 100% natural! Follow the LIVE action here, and like our Minnesota Bound Live Loon Camons page on Facebook to stay connected.